All in one dog strollers, with backpack, pet carrier and car seat! A pet stroller is a great way to take your puppy for a long walk or trip. It safely contains and protects your pet everywhere you go. Pet strollers are very similar to those for human babies, but not designed for them. Features include a strong structure, riding low to the ground for easy access, a waterproof base, front rotating wheels, rear brakes and bug proof mesh that provides air circulation and visibility. Some dog strollers come as multi-function backpacks, pet carrier and car seats, with three uses in one! This dog stroller consists of a closeable pet backpack that is constructed of water resistant fabric and durable nylon. The backpack cover has two layers so it can be fully closed, opened with a mesh covering for ventilation, or fully open so your pet can look out. It also includes a removable, washable pad that fits in the bottom of the backpack with a mesh layer that allows urine to pass through and protect your pet in case of an accident. The dog backpack enclosure has removable, adjustable shoulder straps that allows the carrier to be easily carried. The straps also serve to secure the carrier to the pet stroller. The rust-free stroller unit includes two drink holders and a tray plus a back brake. In addition, the pet stroller folds down for easy storage and transport when it is not in use. Our pet carrier has a third use: when a seatbelt is inserted through the rear straps, the carrier becomes a safe car seat for your pet. There is baby diaper bags so why not doggie diaper bags? A Pet Travel Bag is an ideal way to ensure all your pet’s needs for overnight trips come with you. Food and water stay fresh in the insulated easy to carry bag. Plus there is plenty of room for other necessities like dog toys, dog clothes, dog leashes and dogcollars. These designer bags come with accents created to make your bag stand out from the crowd. Your designer doggie tote is visually different from ordinary totes or messenger bags. Instead of using an old baby diaper bag, use a doggie diaper bags to tote your pooch’s gear in style. Our bags are guaranteed to make your furry friend wag their tail when you reach for it. The patented Pet Travel Bag is a designer pet bag that is large enough for every dog’s necessities. Each of the six pockets is decorated so you know just what’s inside, keeping you from digging through a cluttered bag. Many of us have a four-legged companion that comes with us on trips to the beach, family vacations, weekend camping outings, doggie day care or just for a ride in the car. Our doggy diaper bag gives you the convenience of having all of your dog’s necessities at your fingertips. With a pet travel bag you can have everything packed and ready to go at a moment's notice! "Rescue Me" tote....the best dog carrier! Pet Tote bags helps to keep your pet safe and secure, since it is the best dog carrier! But do you know that some companies offer totes as a way to raise awareness and promote a cause by branding the tote with their logo or message. Jeanne is one of them, an established Hollywood actor, model, and martial artist. Because of her many years in the entertainment industry, these "Rescue Me" totes are seen on the shoulders of your favorite celebrities. Everyone needs at least one good multi purpose tote. You’ll find the web's largest selection of both luxury and practical pet carriers for dogs, cats and other small animals. This Rescue Me tote serves as an every day carry all, diaper bag, gym bag, and even has a leash clip in case your miniature pup (up to 15 lbs.) wants to ride in style. Every Rescue Me tote comes with two versatile bag interiors. Don't feel like leopard? Lining soiled? Just snap it out and snap in your second lining. (Dry clean or spot clean recommended). The Irish all over the world love to celebrate St. Patrick’s Day, no matter where they are. St. Patrick’s Day is the celebration of the Irish culture and heritage and all Irish people love this holiday that they get to enjoy. St. Patrick’s Day is the day for festivities and gaieties conducted the Irish way. If you are Irish and have a pet doggie then this day on 17th March is also an occasion to make your doggie look smart and suave. After all, your pet dog is your best friend and I’m sure you would like to make them feel as great as you are feeling on St. Patrick’s Day. 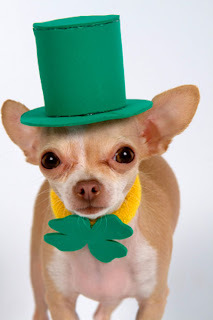 There are a variety of items that you can choose and buy for your doggie on St. Patrick’s Day. For that Irish spirit choose from the typical Irish green items that are available for you to buy. 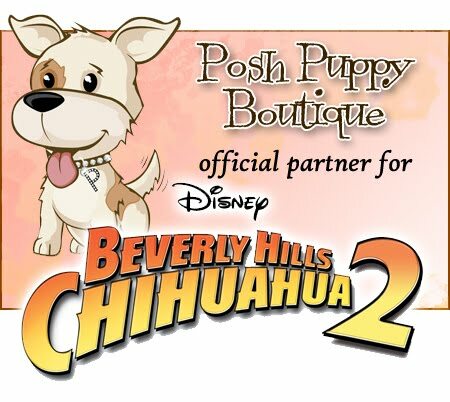 There are hats and bow ties to be bought; there are harness dresses to be bought; there are scarves and collars to be bought and there are also the tuxedos, tanks, dresses and various costumes to be bought. For that great Irish look you can even choose from the Leprechaun styled costumes for your doggie. The good part about buying items for your pet doggie on St. Patrick’s Day is that you don’t need to hunt around for them items. The Internet is your best shopping mall. There are websites out there like PoshPuppyBoutique.com that specialize in selling St. Patrick’s Day costumes for your doggie. All the items that we have mentioned above and many more added to that list are available online for you to buy. What you need is a proper online shopping website that has a name in the market. 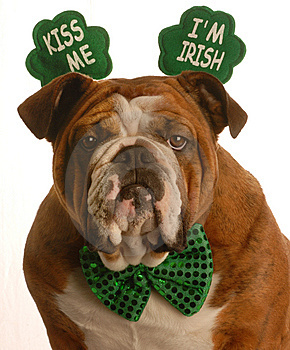 It does not matter how much you spend on costumes for your dog on St. Patrick’s Day. It is the love that you show that matters. And when the two of you go out in the evening attired in matching dresses, people are sure going to turn around and have a look or two. 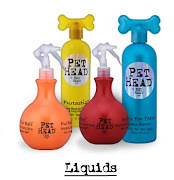 You sure would feel one proud owner of your favorite pet doggie.